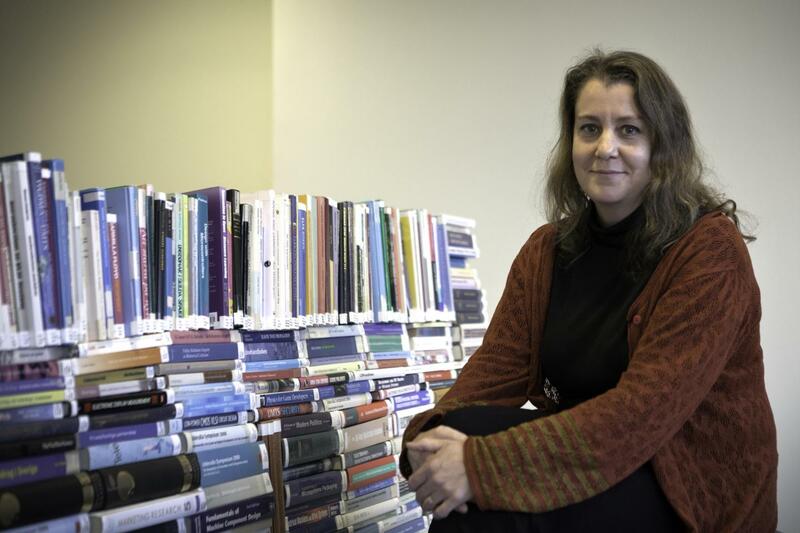 IMAGE: Karin Kittelmann Flensner studied how Swedish teachers and students often talk about religion as something outdated and strange. In Swedish classrooms, religion is often associated with an obsolete time when people just didn't know better – as if religion used to serve a purpose but there is no need for it in the modern world. This is the conclusion of a doctoral thesis from the University of Gothenburg that explores how teachers and students talk about religion and worldviews within the framework of non-confessional integrative Religious Education in upper-secondary classrooms. 'I found that religious faith is portrayed as incompatible with being a modern, rational and independently thinking human being. In contrast, a non-religious, atheistic position is articulated as a neutral and unbiased approach to religion. I had not expected this discourse to be so strong in all the studied classrooms,' says Karin Kittelmann Flensner, who wrote the thesis. Kittelmann Flensner's study is based on observations of Religious Education in three Swedish public upper-secondary schools during the schoolyear 2011-2012. She followed 13 teachers who taught in 24 different student groups. Sweden is often described as the world's most secularised country, and Kittelmann Flensner found that the country's secular attitudes were easily discernible also in the studied classrooms and dominated the talk about religion and worldviews. She also identified two other ways of talking about religion and worldviews that partly challenge but also somewhat reinforced the dominating secularist discourse. She calls them a spiritual and a Swedishness discourse. 'If discussions touched on more general existential issues, there was more openness to positions that could be described as spiritual and include notions of a divine dimension and life after death,' she says. Students and teachers also talked about Sweden as being a Christian country. However, this view did not refer to religious faith but rather to the Swedish tradition and history, and the point of the discussion was often to define a 'we' in relation to a 'them'. In the classrooms, 'the others' became synonymous with religious people in general and Muslims in particular. And this despite the fact that there in every classroom were students who saw themselves as part of various Christian, Muslim, Buddhist, Hindu and other religious traditions. It was also noted that students in vocational programmes were not given the same opportunities as students in higher education-preparatory programmes to practise analysing and problematizing the subject content from different perspectives despite that these students follow the same syllabus of Religious Education. The national syllabus of Religious Education emphasises the importance of understanding and respecting people with different views and backgrounds, but the results of the study suggest that these aims may be difficult to reach if people belonging to various religious traditions are described as unintelligent and deceived, which was often the case. It also makes it difficult to prepare the students for a life in a pluralistic society. 'If teachers can be made aware of how religion and people with religious faith are talked about in their classrooms, I believe they can contribute to a learning environment that better promotes understanding and respect between different positions. We live in a pluralistic society, and I believe the school and Religious Education can play a key role in promoting positive development,' says Kittelmann Flensner.